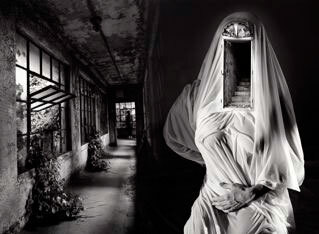 21st Editions spent three days with Jerry Uelsmann looking at over 3000 finished works that span his entire fifty-year career. 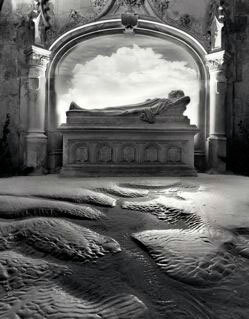 What emerged was a selection of ten exquisite photographs which Uelsmann painstakingly printed as original 16 x 20-inch silver gelatin prints exclusively for the massive 20 x 24-inch book. The aluminum binding by Daniel E. Kelm represents a new standard of innovative design as each individual “page” is completely removable. This allows the collector to frame any or all of the ten magnificent signed prints without compromising the integrity of the book’s unique structure. 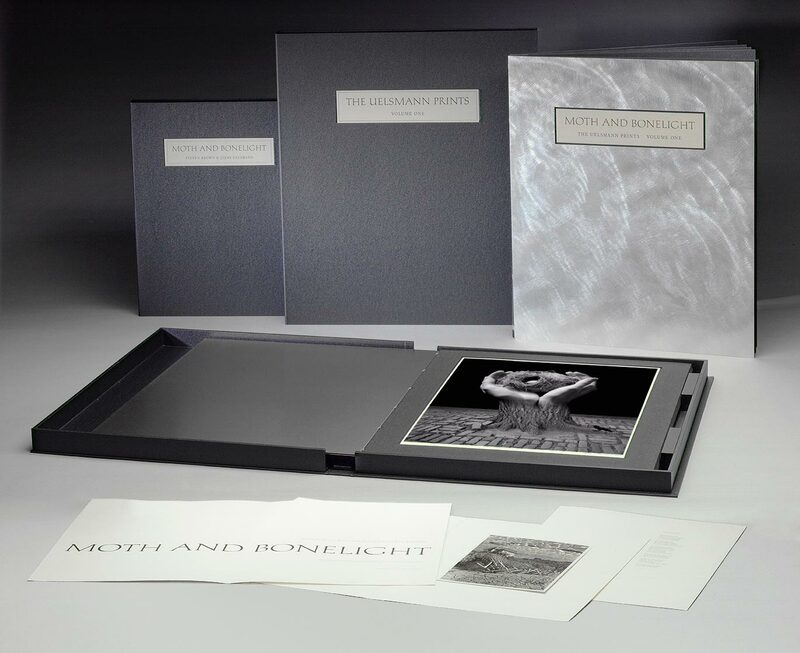 The initial offering of twelve copies of the silver edition sold out within twenty-four hours but there is a platinum portfolio available from the publisher. Text design by Michael Russem, Kat Ran Press. Letterpress printing by Art Larson, Horton Tank Graphics. Binding design by Daniel E. Kelm, produced by Kelm with Leah Hughes, Kylin Lee, Greta Sibley, and David Paffhausen. The metal binding is an inventive solution to the age-old dilemma of art-in-a-book versus art-on-the-wall. Kelm created an elegant volume that can be dismantled and reassembled by the owner—one or more prints removed without destroying the integrity of the binding. 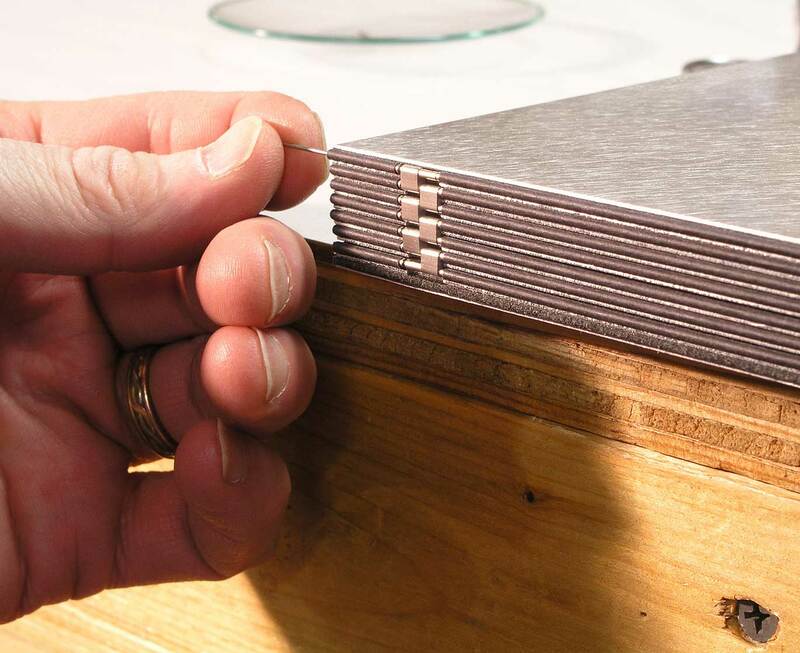 After you have looked through this gallery, you may also enjoy viewing The Making of a Project, a page on this site where you can see images of many of the steps involved in producing the binding for Moth and Bonelight. 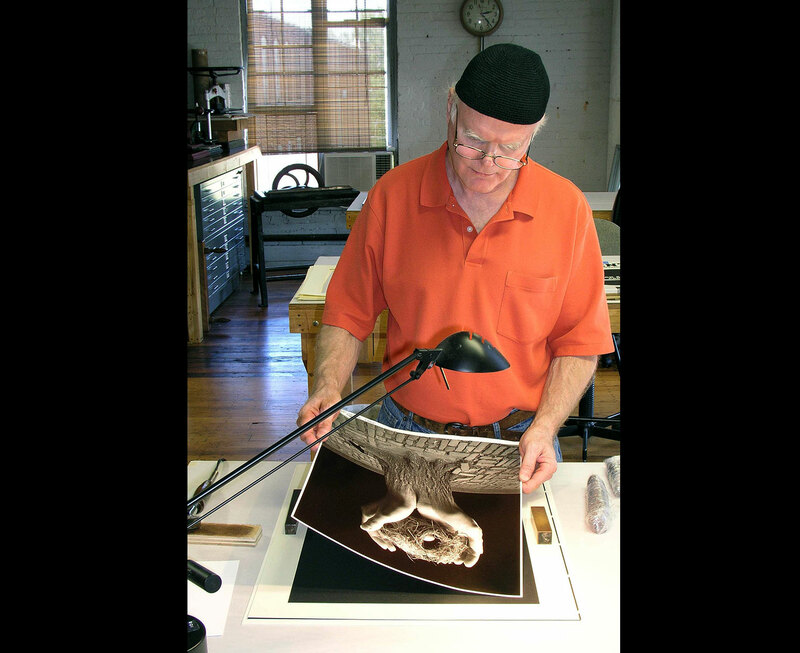 Kelm placing one of the original silver gelatin prints into the page structure. 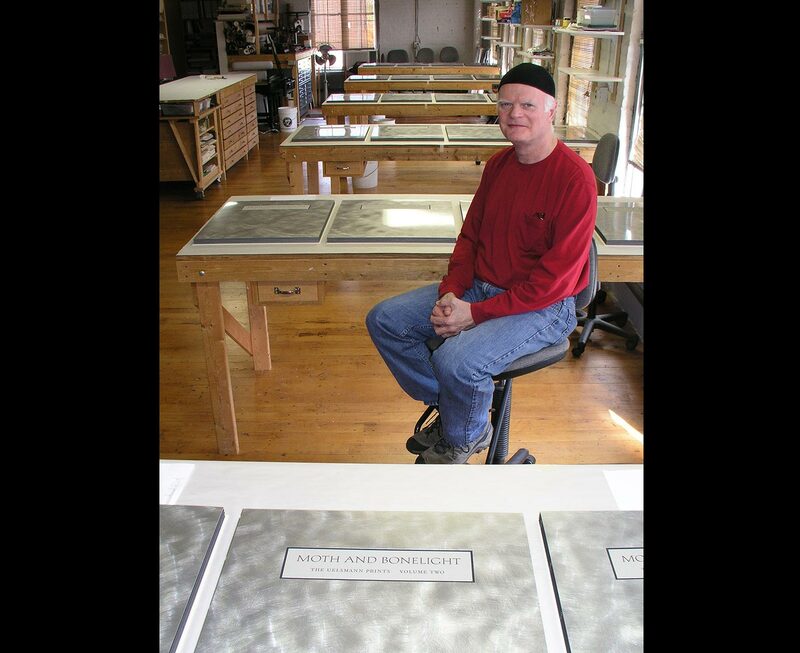 Kelm seated among completed copies of Moth and Bonelight. The job consisted of two volumes x 25 copies. Kelm spent months inventing the structure, and then it took him and his loyal crew the better part of a year to produce the edition. Moth and Bonelight comes with instructions for taking the binding apart and putting it back together. The binding utilizes wires, tubes, and hinges. Threshold. 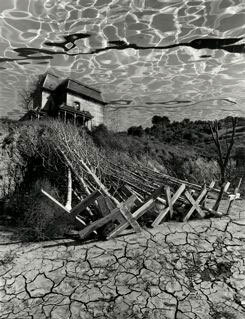 Silver gelatin print by Jerry Uelsmann. Untitled. 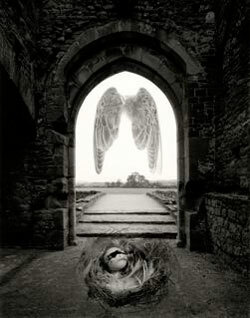 Silver gelatin print by Jerry Uelsmann. 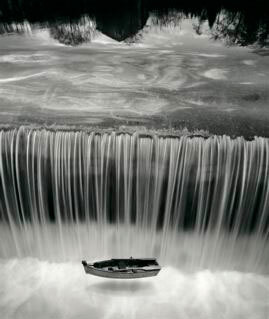 Journey into Night. 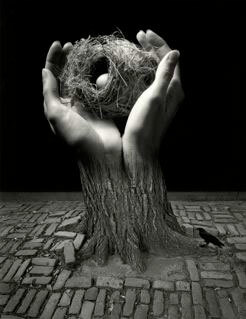 Silver gelatin print by Jerry Uelsmann. Philosopher’s Study. 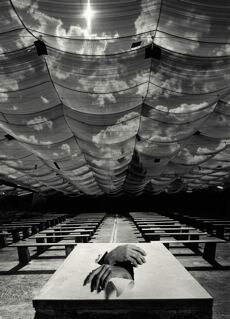 Silver gelatin print by Jerry Uelsmann. 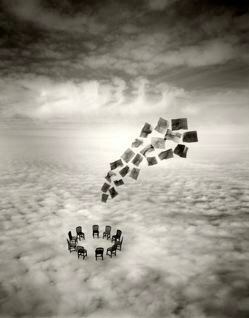 The Committee. 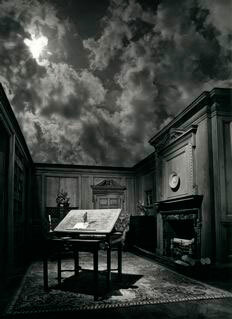 Silver gelatin print by Jerry Uelsmann.